Once a year, NRG center trades in its footballs and field goals for a different kind of athlete. These athletes come in all different breeds with their own special gifts and talents, but one thing is for certain: when these dogs come to play, everyone wins. The 40th Annual Houston Dog Show was hosted July 19-23, and showcased some of the most talented dogs around. From Frisbee competitions to grooming and photo booths, there was something for everybody. At the center of the event was a veritable bazaar of stores carrying all things Dog (with a capital D). There was organic dog food; organic dog treats; dog beds; dog houses; kennels decorated to look like dog houses; specialized dog Frisbees, ropes, and other toys (so as not to hurt your dog’s teeth); and even a photo booth where you can get a portrait made of your dog, complete with a velvet armchair and decorative bookcase. To say that the dog lovers attending the Houston Dog Show were passionate is an understatement. I saw women’s arms lined with tattoos of their dogs past that included not only their birthdays and death dates, but also a small picture in the likeness of the respective dog. I saw dogs with dyed hair and stylish clothes. I saw a meeting area marked by flags declaring a specific breed—“Bull Dog Order of Texas,” “Rat Terrier Order: Southwest Chapter,” and even, “Houston Labradoodle Association.” Everywhere I turned, I saw dogs loved to the point of discomfort, and it was beautiful. My favorite event, Flyball, was a combination of two Olympic-recognized sports: hurdles, and the relay race. Each team consisted of four dogs, their ankle joints wrapped with athletic tape. When the buzzer sounded, one dog sprinted over four hurdles, bounced off a platform and headed back over the hurdles, and then their teammate followed suit; the first team to finish wins. There were also agility and “Barn Hunt” competitions. The corgis ran away early with the agility competition, and the barn hunt consisted of a live rat in a capsule being hidden in a maze of hay; which, in theory, is interesting. However, it was less exciting once I realized the dog wasn’t chasing the rat and was instead searching for a trapped rat in a capsule. I wanted the rat to have a fighting chance. Each year, I was told, the Houston Dog Show attracts more people, more dogs, and the community grows. I was more than happy to be a part of that community for a day, and will consider going back next year. 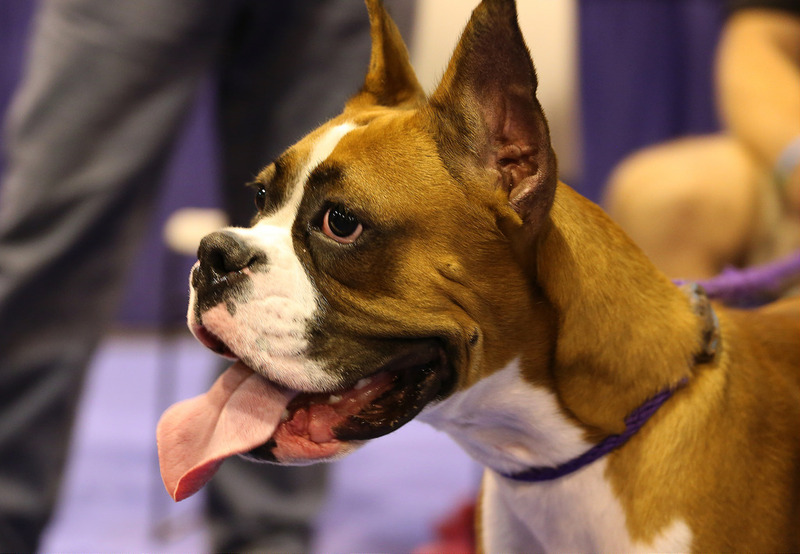 If you consider yourself a dog lover, look into visiting your local dog show. If your town doesn’t have a dog show, however, Houston’s is growing and looking for more people. Bring a friend, bring your family, and, if you think they’re talented enough, bring your dog!